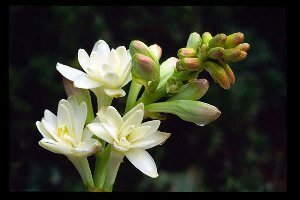 Tuberose essential oil is extracted from a beautiful tall white flower. Its beautiful fragility, with its long delicate white flowers means that it is far too brittle to withstand the rigours of steam distillation. To conquer this problem, its thick yellow/orange unguent oil is extracted by either enfleurage or by solvent distillation. The absolute that they sell here is beautiful- Mountain Rose Herbs. I like to think that the altered chemical constituency only serves to bring about a shift in the extract's properties, but even more, that it holds on tightly to the vibrations of the plant’s knowledge. And Tuberose essential oil truly does hold arcane knowledge. To conjure its vibration for you, I merely need to tell you that in the language of flowers the exquisite tuberose blossom signifies both dangerous pleasure and voluptuousness. At its most enticing in the evening, when its scent is the most powerful and tempting, the plant is ruled by the planet of the Moon. I find it fascinating to uncover the secrets of magical and ancient practices and was intrigued to find a study in which Tuberose essential oil was aligned to the High Priestess in the Tarot deck, with no source quoted, and no evidence or even seemingly a reason, I was tempted to discount it. However the further I researched the uses and properties of Tuberose oil, the more I began to build a most vivid picture of an oil that indeed may have many correlations with the archetype. Holding an important place in Hindu mythology, as their traditional wedding flower and the preferred bloom for Hawaiian wedding leis, tuberose is a profoundly romantic flower. Their chosen name Queen of the Night; can sometimes be also seen as Scent of the Night in some places. More whimsically, a popular concern in France is that young women should “take care not to breathe its scent after dark for fear they may be overcome by love and desire”. Much of our westernised knowledge of its physical properties come from Ayurvedic medicine where it hold a most esteemed place. It is often used a purely general tonic and for headaches but mainly as an aphrodisiac. They also use the roots and tubers (tuberose essential oil comes from the petals) as an anti-inflammatory for the joints, especially in rheumatism. The plant has antispasmodic qualities and is also circulatory. Tuberose essential oil can be used as a tonic for coughs and in some cases has been used effectively as a treatment for malarial fever. It is a lovely, warming oil because of its stimulation of the circulation and is extremely efficacious as a winter tonic. Working as a respiratory antispasmodic, it eases troublesome coughs. More usefully though, reduces the amount of phlegm and catarrh that can build up. It makes a wonderful preventative medicine. Not just the emotions and muscles and nerves too, especially as an antispasmodic. Use it to treat cramp and muscle spasms, also the pains caused by diarrhoea, and even convulsions. Emotionally, the effects that tuberose essential oil have on the nervous system are calming and reassuring. Beautifully sedative, it has a lovely restful feel to it. It is a marvellous help to people suffering from anxiety or even depression, alleviating feelings of negativity and encouraging self confidence.. It resonates on the crown chakra and to me, that creates a whole new place of healing to consider. On the spiritual vibration it connects with the godhead and inspires psychic abilities, completely in tune with the Mayan philosophy. It opens the energy of the right side of the brain fostering creative inspiration. It is a channel of humanity. If you will just allow me to relate that back to my earlier thoughts about the High Priestess for a moment I shall draw what I feel to be interesting parallels but also show peel back more layers of the plants knowledge and healing. 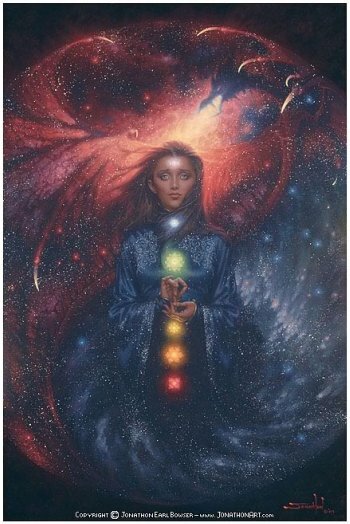 The High Priestess is one of the two main female archetypes shown in the Tarot deck and where the Empress is sexuality and openness, the High Priestess is more the maiden. Still a whole woman, but in many ways she is more chaste, more hidden. Her strength and use is far more intuitive and spiritual rather than so much physical. She lends direction to creative forces.She is moon energy. Higher psychic awareness, she is what we keep concealed. She represents those things that we know but do not tell, those things we choose to keep a veil over. Like impotence and frigidity, for example. Which brings us to the most important use fo Tuberose essential oil, in my opinion. Sexual dysfunction, which Tuberose oil improves by reconciling its many, many functions. 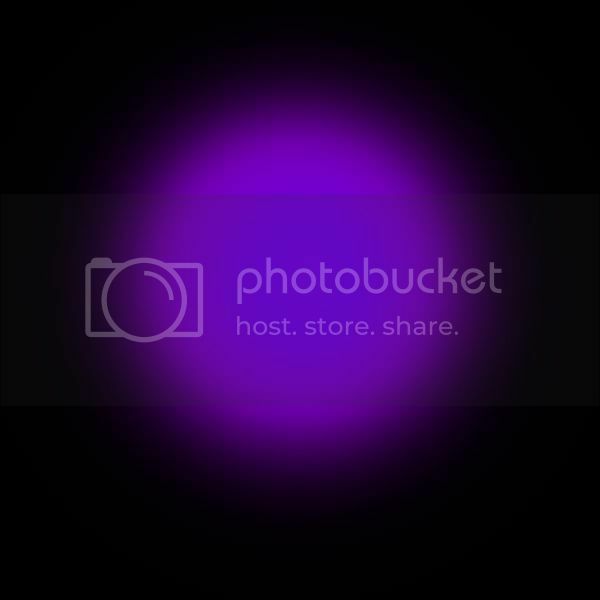 First let’s consider the crown chakra, governor of the entire endocrine system. 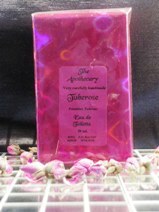 Tuberose stimulates the chakra, fuelling and engorging the glands with bright surging, energetic power. It raises the vitality causing the hormones to lift and balance. Reproductive hormones rise up and start to flow more effectively. Drawing on its circulatory talents it encourages much better blood flow and stimulates the system, helping with the problem of erectile dysfunction. It wells up in the blood stream and causes a wave of activity, not just in the predicted places but stirs your entire being into action. It’s interesting to note a large part of the chemical constituents of Tuberose essential oil are monoterpenes and sesquiterpenes. Remember that the latter are known to be able to pass through the blood brain barrier. They create a very physical effect on the parts of the brain related to sexual desire and libido, stimulating and motivating them. Emotionally it is supportive and relaxing, releasing the pressure that builds with the problem. It is sedative to both a patient’s feelings, but also their nervous system. It counteracts their negativity and burgeoning anger. It clears resentment and jealousy. Dissipating self doubt and confusion, it centres the patient. Tuberose lifts the seriousness bringing a more playful tone to a situation. Of course it could be that the most powerful effect is that heady dreaminess that makes you want to float away, almost a little drunk on its fragrance. Completely alluring, you can easily see why it is used for its aphrodisiac qualities in so many cultures. Its scent is so completely lovely, I think, but Tuberose perfume could also be described as cloying to some. Nevertheless, it does hold star status in the perfumery world. It can lend a floral middle to base note to a blend and often turn it into a suggestion of the dark side of a temptress. It is often used to harmonise with Rose, Sandalwood and Jasmine but will also strike a lovely chord with Ylang-Ylang and Vanilla. However I think Tuberose perfume is at her most divine blended with Neroli.Undoubtedly Tuberose essential oil is perfumes' Queen of The Night, but how many of you now will use her in your healing box of tricks I wonder. Will she beguile you like she enchants me or will controversy continue to stain her lovely reputation? Republished by kind permission of NZROHA journal, official magazine for aromatherapists in New Zealand for whom I originally wrote the article. Enjoyed reading about tuberose oil? 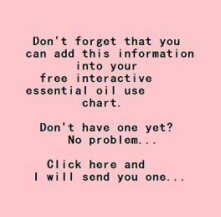 More essential oils in our essential oil database.